Kashmir is renowned all across the globe as Paradise on Earth owing to its picturesque, awe-inspiring scenic beauty. However, this land, which often feels like it is cut off from the rest of the world, is also famous for its finger-licking cuisine. American chef, Paul Prudhomme’s opinion, “You don’t need a silver fork to eat good food” is a statement that many food lovers swear by. It is the same with Kashmiri food, which is as honest as its rustic snow-covered meadows. It is true that most dishes that form a major part of the Kashmiri culinary practice, revolve around various kinds of meat (excluding beef), the cuisine also involves various vegetarian and rice dishes that are as tasty as the rest. Also, the opinion that food from this part of India is usually spicy is a misconception. In fact, the culinary practices are so diverse in Kashmir that any delicacy tastes brilliant, irrespective of whether they are hot, or mildly flavored, or sweet. To get to know more about Kashmiri cuisine, here are 15 dishes that you absolutely must have on your next trip there. The Dum Aloo is probably one of the most popular of all Kashmiri delicacies, so much so that different regions around the country have chosen to adapt it as their own. Potatoes are boiled and then cooked a second time in luxurious, spicy gravy. Whether it’s the use of baby potatoes or the larger varieties, the Dum Aloo ends up tasting delectable. 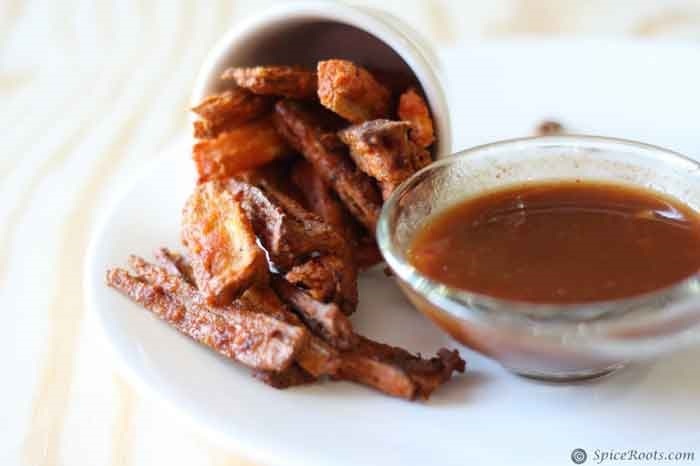 The lotus stem, known as Nadur, is one of the most favorite edible items of Kashmiris, and several delicious dishes can be concocted out of it. The Nadur Churma is one such appetizer which is made with spicy lotus stems that have been deep fried. A different take on the same dish is the Nadur Monge, where the stems are dipped in gramflour batter before being fried. 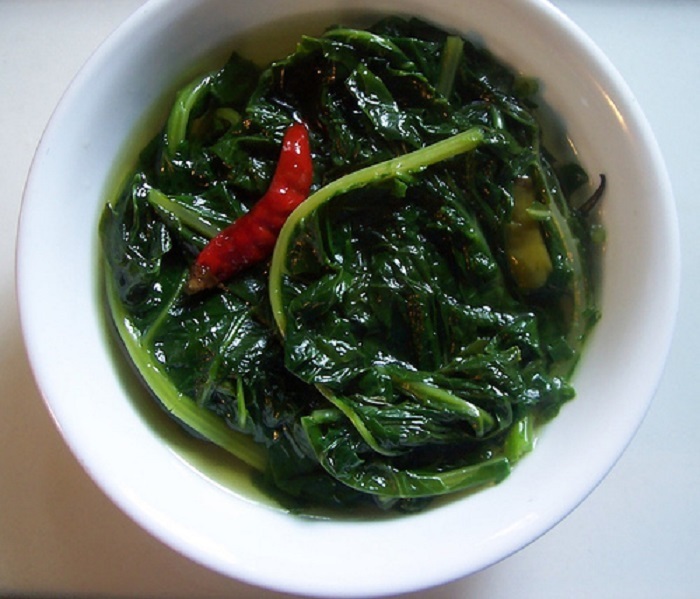 Though Kashmiris are famous for their love of spice and other rich ingredients, the Haak, made from a green leaf unique to the region, is simple and yet makes a mark as a well-loved dish. The Haak is not just tasty, but is loaded with protein and hence is quite healthy. Any Yakhni preparation has the ability to win many fans. Though the Yakhni pulav is quite famous, it is the Yakhni Mutton that is a must-have for all meat lovers. 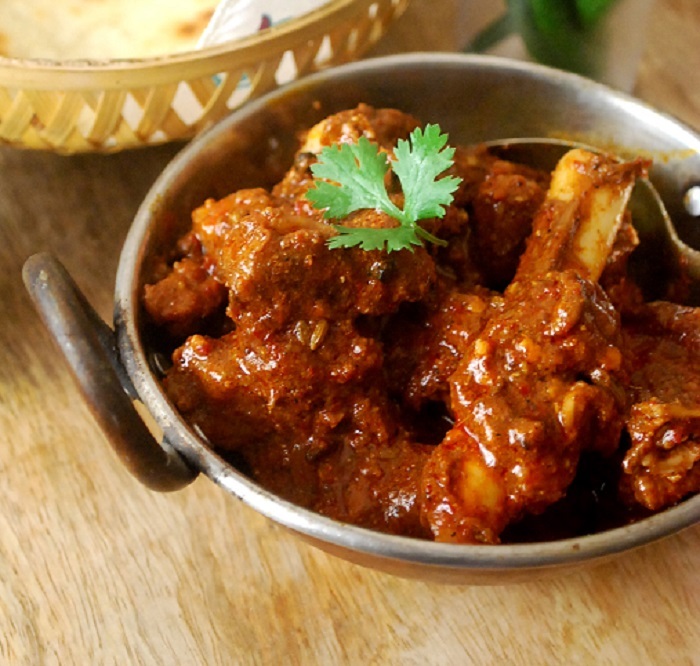 Marinated and cooked in curd and a variety of spices like fennel, turmeric, salt and cinnamon, the tender mutton pieces that separate from the bone with a mild tug, is undoubtedly divine. If you thought the people of Kashmir only ate meat, you are mistaken. The Muj Gaad is a fish preparation that dates back several centuries ago. 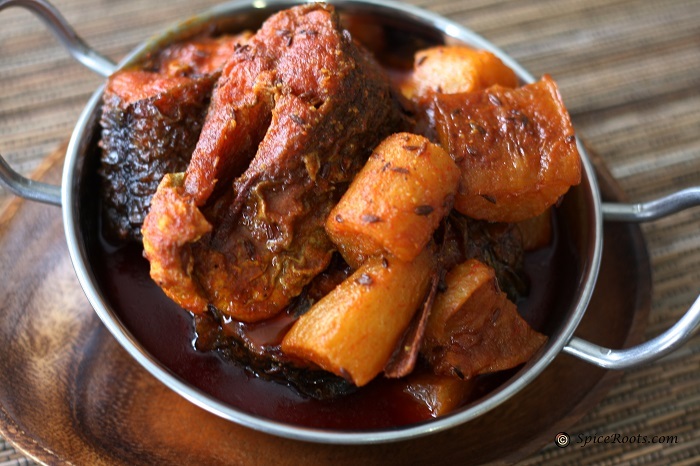 The fish is cooked in a blend of spices, along with the must-add vegetable, radish. 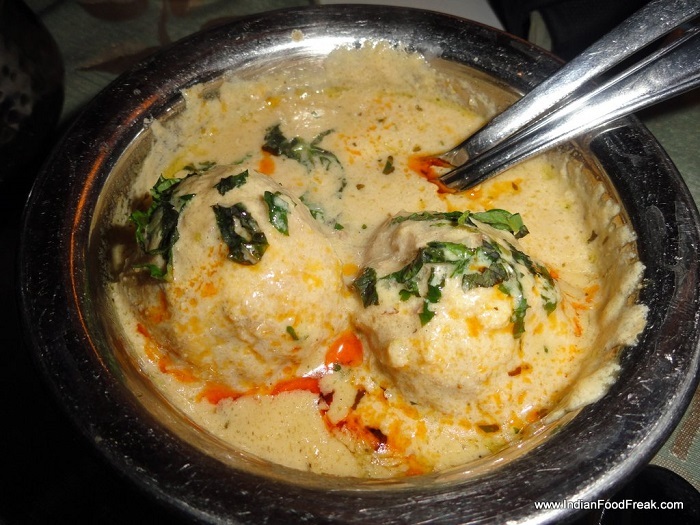 Goshtaba is one meatball curry that the Kashmiris swear by. Cooked in yoghurt, this too is a Yakhni specialty that is usually served at weddings. 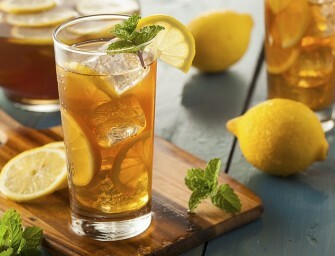 In fact, at any feast, it is the last item to be eaten, and remains a cherished flavor for days to come. Who hasn’t heard of Roganjosh? 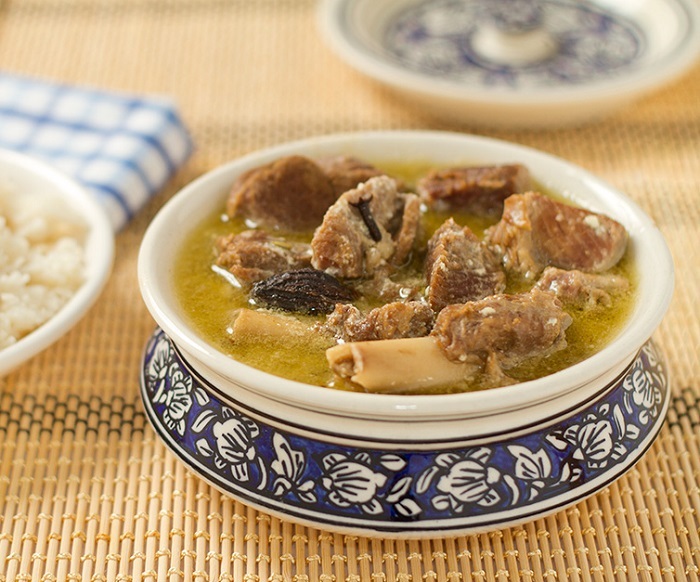 This is the most famous Kashmiri dish that is served at any restaurant around the country. 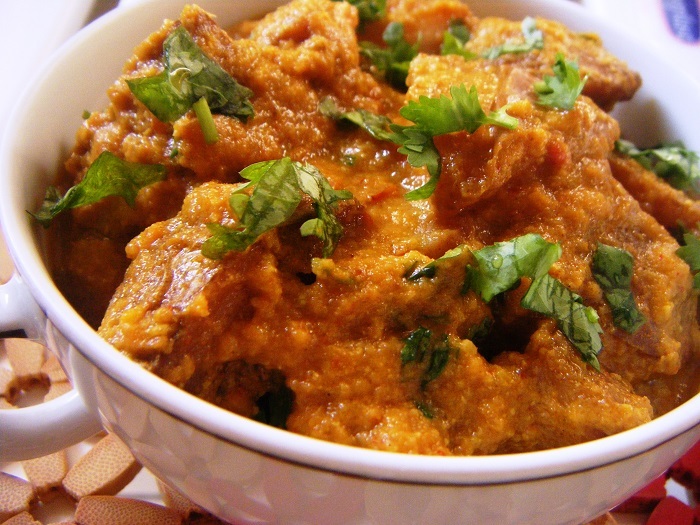 A staple at any dinner occasion, this incorporates pieces of lamb or mutton which are cooked with onions and garlic. 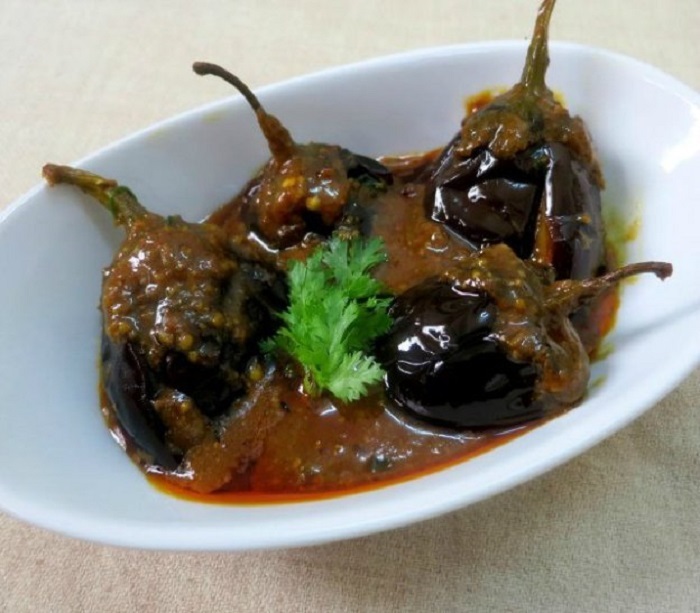 What gives this delicacy its unique zing is the abundant use of Kashmiri red chillies. 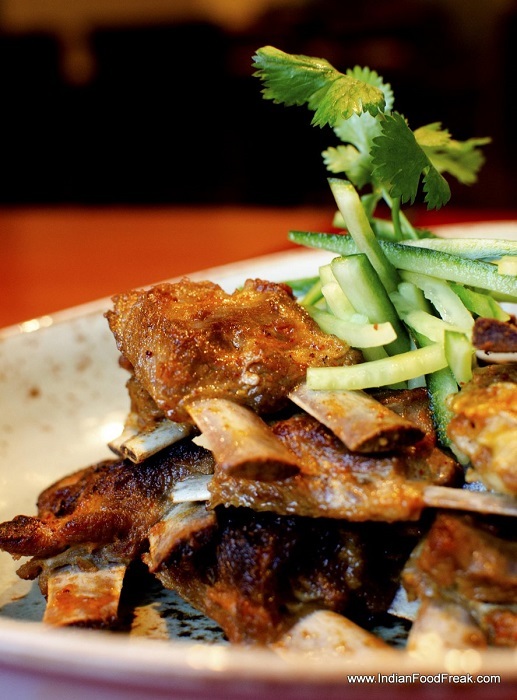 If you drool over lamb chops, the Tabak Maaz is the dish you would die for. The Kashmiri take on the ever-so-popular chops is prepared with mutton ribs that are seasoned with salt and chilli powder and then deep fried till the meat is cooked to perfection. And you were of the opinion that Kashmiri food was all about mutton and dried fruits. The Chouk Wangan is a scrumptious meal made out of brinjal that’s cooked in tamarind water seasoned with various spices. The outcome is a smashing sour brinjal delicacy. Yellow rice that gets its rich amber hue either from saffron or turmeric is known as Tehar, and is usually served on auspicious occasions. 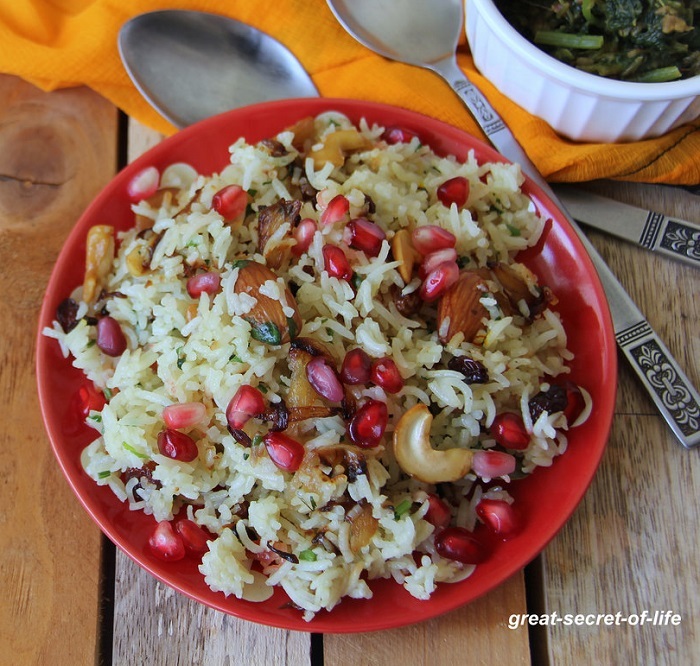 This simple yet vibrant rice dish is best complemented by Chaaman, a paneer preparation. 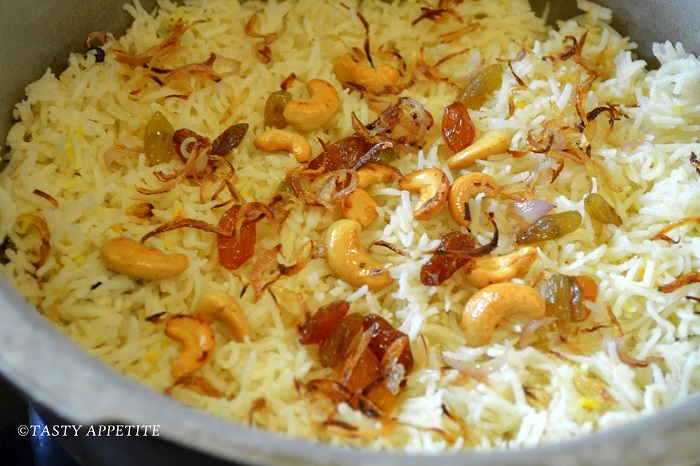 The Kashmiri Pulav is a renowned dish for its rich sweet taste and its plentiful use of dried nuts and fruits like walnuts, cashews, raisins, and figs. Eid becomes even more auspicious for Kashmiris because of this lip-smacking dish. 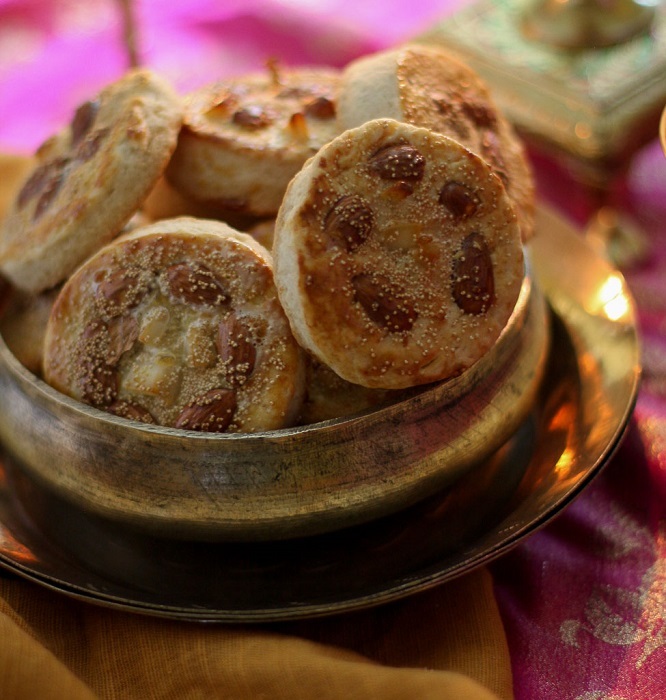 The Roth is a famous Kashmiri dessert that’s prepared by the pundits residing in the state. Though it resembles a crossover between roti and cookies, it is in fact a sweet surprise, since it’s made with sugar, ghee and flour. It is a tradition that is followed every Kashmiri New Year. 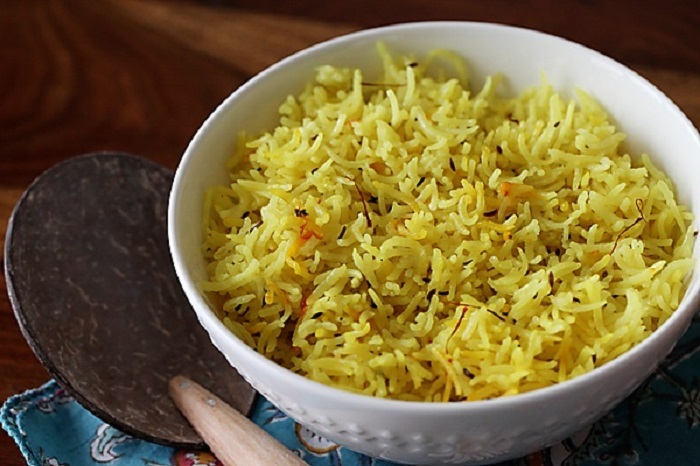 Another sweet pulav, this is made with coconut and saffron that adds an effervescent quality to its taste and aroma. It is choc-a-bloc with nuts and a healthy, delectable variant of the Kashmiri Pulav. 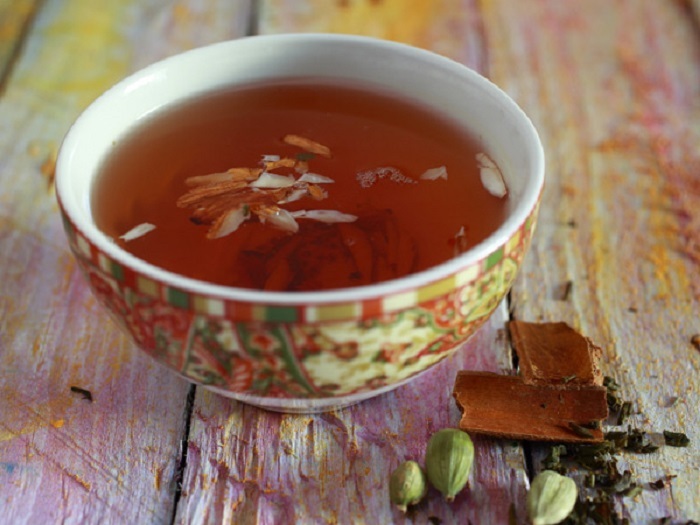 The Sheer Chai, also popular as the Nun Chai, is not just a pretty picture but also an important member of Kashmiri cuisine. 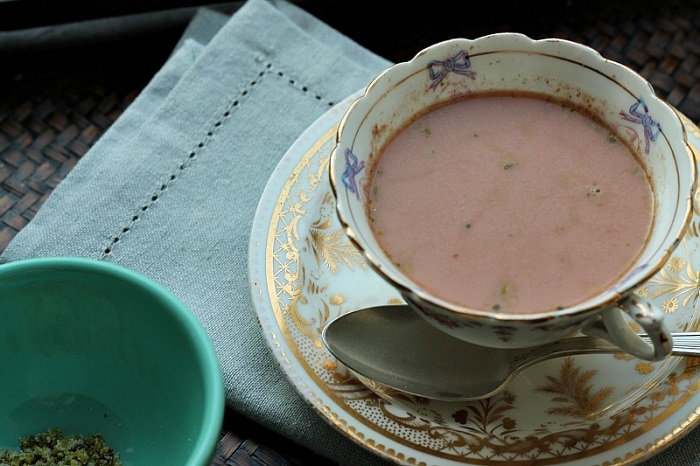 Though it is tea, this pink hued chai isn’t sweet, and is made of baking soda, almonds and pistachios. Kahwa is more popular than the Sheer Chai, prepared from special leaves grown in Kashmir. 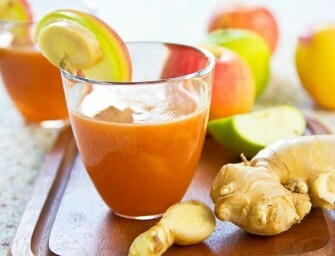 This herbal concoction is rich in antioxidants, and contains saffron, almonds and cinnamon for flavoring.